You might be interested in a millionaire match but may not be sure just what the typical millionaire is looking for in a relationship. Is the millionaire mindset that different from the average Prince Charming? In some ways yes and in other ways no. Let’s think about the question logically. What Makes Rich Men Different? Rich men are used to being viewed as a “commodity” as someone desirable and attractive, so they usually have a high level of confidence. Because of their job, they are often accustomed to working with many people and so are known to be conversational, friendly and maybe even a little bit “alpha” when it comes to controlling a conversation. Rich men are driven to succeed. Whereas many working class men have a “lottery mentality” about life, rich men think in terms of action. They are doers, not dreamers. Rich people also tend to follow their passion in life. They’re workaholics because they actually enjoy what they do and it’s not just a daily job. It’s a way of life and they oftentimes feel most alive when they are making deals and conquering the market. Rich men spoil themselves and their families when it’s time to de-stress. They find peace of mind in wealth and “play hard” after a day of working hard. They enjoy world travel and dining in fine establishments. Splurging is often a comfort. Another interesting thought is that rich men tend to want to be educated, rather than entertained. They think in terms of incentive or perhaps empowerment or betterment, as to their lot in life. And this relates directly to what they are looking for in a partner. What wealthy men want the most is a woman who challenges them, not just sexually or in conversation but in philosophy and morals. It’s no coincidence that many millionaires marry philanthropists. They are fascinated by the philanthropist who wants to do great things in the world, helping the underprivileged, helping to shape modern social civics and politics and the like. By nature, the wealthy class also tends to take educated risks. While they are not impulsive in behavior, they do tend to act first and apologize later, especially when interacting with other people. Therefore the person who is courting a rich man would do well to learn him and to decipher how to stimulate the man’s emotions. This is done by appealing to his sense of adventure, romance and values. A rich man usually doesn’t want a sugar baby for a serious relationship. Therefore, he values independence in a woman, not just in financial security but also in lifestyle. He wants to be impressed not with her “expensive tastes” or looks (although a good physique is important), but her heart and mind. She is smart enough for him, but kind enough to be a supportive wife. Do you think you’re up for the challenge of landing a rich husband? 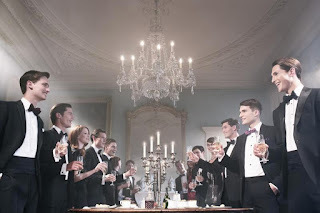 All it takes is the initiative…and maybe a website that specializes in matching rich men with smart, beautiful and confident singles.